The Loose Muse Anthology has launched…. Not so long ago I was jumping about because I had received my very first writing commission and now the book is here! It is the first anthology published by Loose Muse, a brilliant London based organisation to support women writers. Loose Muse holds the only regular women’s reading event in the capital on the second Wednesday of every month in the Poetry Cafe in Covent Garden. 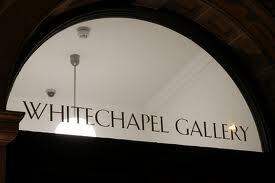 The Whitechapel Gallery had been chosen for the launch and was an inspiring place for the event. The room had the clean white lines of a display area and was the perfect backdrop for the colourful gathering of writers, their families and friends who celebrated the birth of Loose Muse, the book. We were a truly eclectic bunch and were in turn moved from surprise to mirth, amazement to sorrow, with a great helping of wry observations thrown in for good measure, during an evening of readings by more than 30 different writers. I was especially in awe of those who recited their work – where I struggle merely to read coherently, they spread their wings and launched themselves into full blown performances of the highest quality. I was transfixed by the energy in that room. Agnes Meadows, international poet and all round amazing character, is the energy behind the L M experience, and she did everyone proud with the compilation of this first (of many!) anthologies. The book is exquisite in every detail with a stunning cover – artwork by Lorraine Clark – and is full of impressively diverse writing. To find out more about the book, and about Loose Muse, visit the web site at http://loose-muse.com/ and follow them on Twitter (AgnesMeadows1). This entry was posted in Loose Muse, open mic, performance poetry, performing your writing, poet, poetry, poetry commission, poetry slam, Poetry Society, poets, Short stories, short story, social etworking, twitter, Uncategorized, writer, writing, writing groups and tagged Arts, Arts and Entertainment, Covent Garden, Literature, London, loose muse, poet, poetry, Poetry cafe, poetry. writer, Women's writing in English, writer, Writers Resources, writing. Bookmark the permalink. Congratulations. Unfortunately I wasn’t able to come along to the launch but I’m looking forward to reading the collection..